Thin film anti-reflection coatings greatly reduce the light loss in multi-element lenses by making use of phase changes and the dependence of the reflectivity on index of refraction. A single quarter-wavelength coating of optimum index can eliminate reflection at one wavelength. Multi-layer coatings can reduce the loss over the visible spectrum. A single layer anti-reflection coating can be made non-reflective only at one wavelength, usually at the middle of the visible. Multiple layers are more effective over the entire visible spectrum. 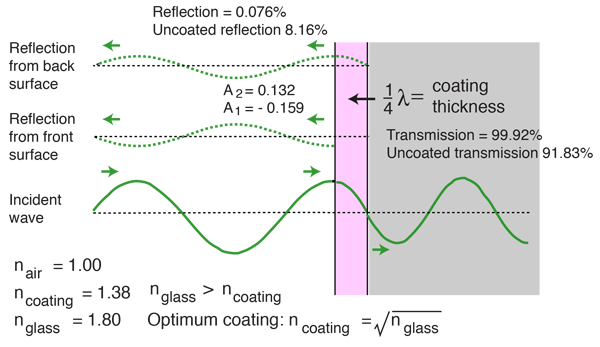 Single layer antireflection coatings are generally calculated for a midrange wavelength like 550 nm (green). 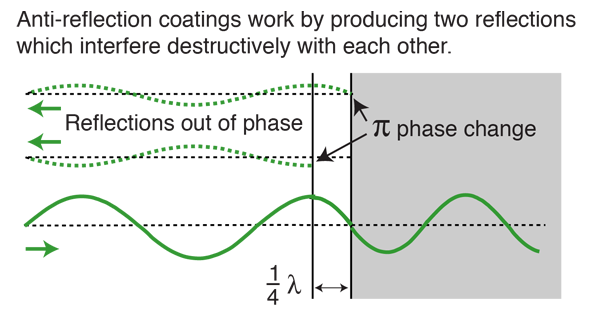 With the assumption of a coating thickness of a quarter wavelength in the medium, the reflection can be calculated by using the normal incidence reflection coefficients. 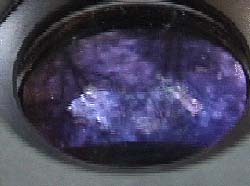 Without the coating, the reflected intensity would be %. compared to % for an uncoated surface. You may have noticed that the lenses of your camera or binoculars have a purplish tint to them when viewed at a glancing angle like the illustrations below. This is a result of optimizing the antireflection coating for the midrange wavelengths, the greens. 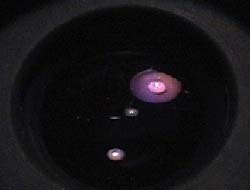 More of the reflected light is in the red and blue extremes of the visible spectrum. 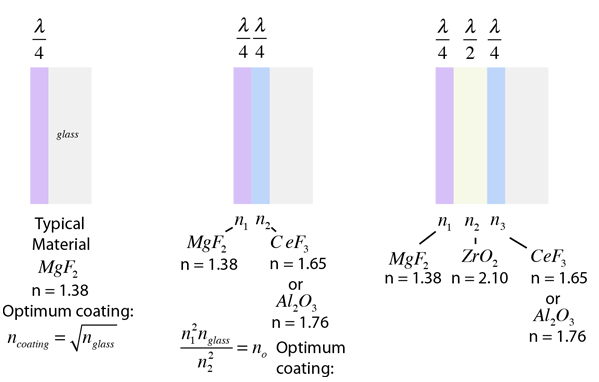 Analyzed from the point of view of the CIE chromaticity diagram, combining red and blue puts you on the "line of purples". Even with the simpler Newton color circle, you can see that emphasizing red and blue will give you somethin akin to magenta.